- Leaves behind no residue, color, or odor. 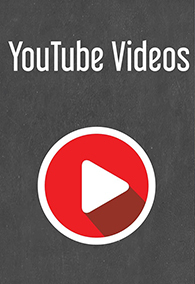 - Works on exterior and interior surfaces. - Cleans carpets, tires, stains, engine bays, and much more! Chemical Guys NONSENSE is the invincible invisible all-purpose super cleaner! NONSENSE is colorless and odorless for maximum cleaning power on any surface. Stains, grime, grease, and dirt don’t stand a chance against the strength of NONSENSE! The amazing super cleaner is strong on dirt and stains, and gentle on sensitive carpets and fabric surfaces. NONSENSE gently cleans and removes dirt and stains from sensitive materials without leaving behind colors, odors, or chemical residue. Engine bays, dirty wheels, undercarriages, and filthy carpets don’t stand a chance against the transparent cleaning power of NONSENSE! The invisible low-foam formula gives NONSENSE the highest level of cleaning power possible with no residue. The special pH-balanced formula of NONSENSE is highly effective on heavy dirt and grime, but gentle enough for the most sensitive fabrics. NONSENSE is super concentrated. 1 concentrated gallon makes 20 gallons of ready to use NONSENSE. Even painted areas can be safely cleaned with NONSENSE. Color free, odorless, and pH-balanced for the safest user experience possible. 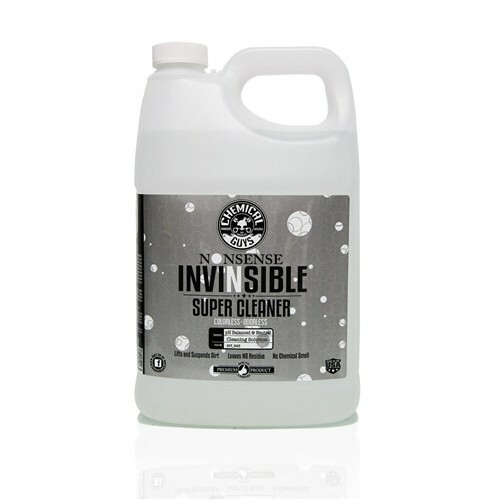 Hard to reach places are easily cleaned with just a simple spray of NONSENSE: the invincible invisible super cleaner. Clean any surface with NONSENSE all-surface super cleaner. 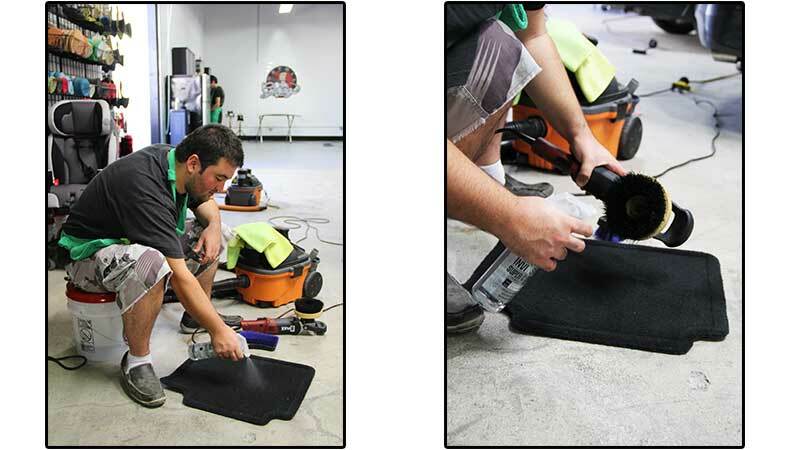 To improve NONSENSE, we had to start from the ground up to re-engineer a product that would completely change the way you think about all surface cleaners. 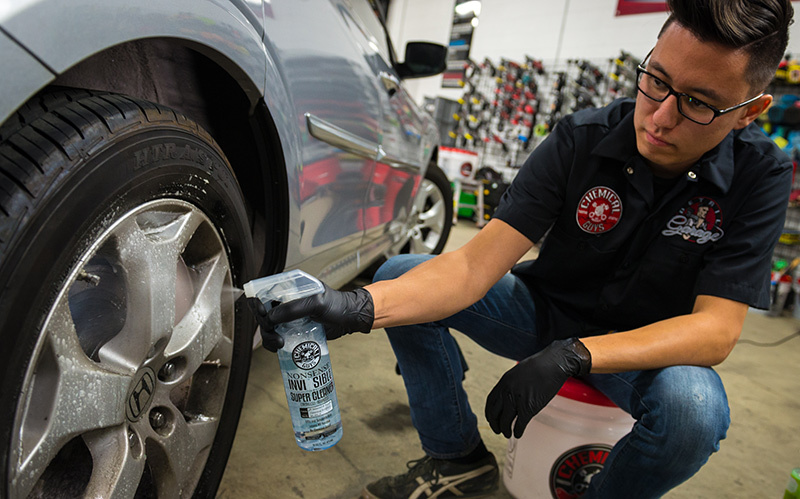 Generic surface cleaners on the market contain coloring agents that can stain and damage the surface or material being cleaned, and caustic fumes that contaminate surfaces and harm the user. NONSENSE completely eliminates odor and color by utilizing Advanced Transparent Cleaning Technology, delivering a professional strength product that is safe and easy for anyone to use. The elimination of color and odor from NONSENSE means we are able to pack more cleaning power into each bottle. Utilizing Advanced Transparent Cleaning Technology means NONSENSE is safe on any surface, inside and out. 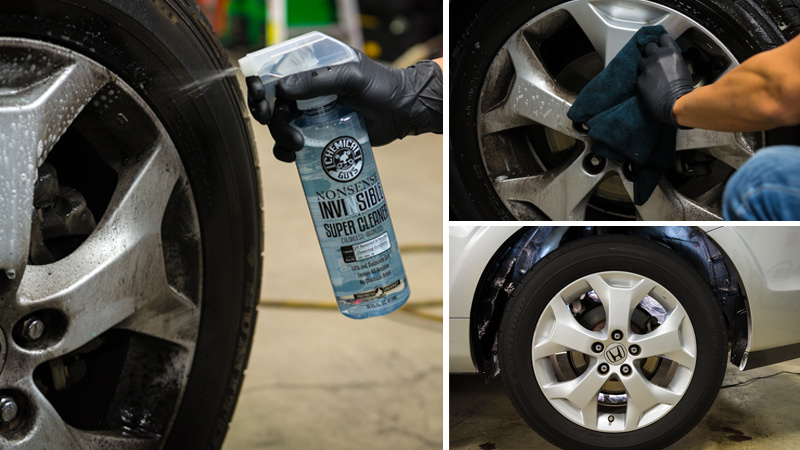 Take a step into 21st century technology and say goodbye to dirt and grime forever with Chemical Guys NONSENSE, the Invisible Invincible Super Cleaner! NONSENSE is the colorless and odorless super cleaner. Color-free surfactants prevent staining and discoloration while cleaning even delicate surfaces. Odor-free chemicals gives a pleasant cleaning experience for the user. NONSENSE is truly the invisible cleaner, leaving behind no residue—just cleanliness. NONSENSE is the ultimate all purpose cleaner that removes dirt and stains from virtually any surface. The concentrated formula breaks down dirt, grime, grease, and tough stains from interior and exterior surfaces. Easily clean carpet, bumpers, dashboards, door panels, tires, wheels, engine bays, and much more. NONSENSE is super concentrated for more cleaning power in each bottle. 1 gallon of NONSENSE concentrate makes 20 ready to use gallons. Using intensive research and development, we engineered NONSENSE to be super concentrated to squeeze the most cleaning power possible into one bottle. NONSENSE is designed to give you the most value possible by having a dilution ratio of 20:1. The super concentrated formula not only gives the highest level of cleaning power possible, but also provides the highest level of cost efficiency. NONSENSE is highly effective on heavy dirt and grime, and gentle on even the most sensitive fabrics. The unique formula is pH-balanced for safe and effective cleaning. NONSENSE breaks down tough coffee, grease, wine, pet, and food stains in seconds. The all-surface cleaner can be used to clean -virtually anything: clean accidental pet stains from carpet; remove dirt and grime from tools and other machinery; clean countertops, floor mats, and chairs in seconds.